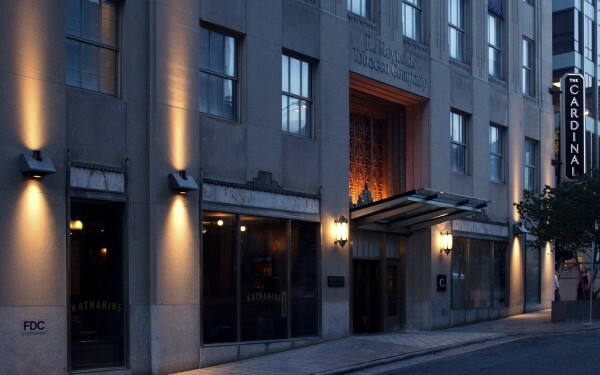 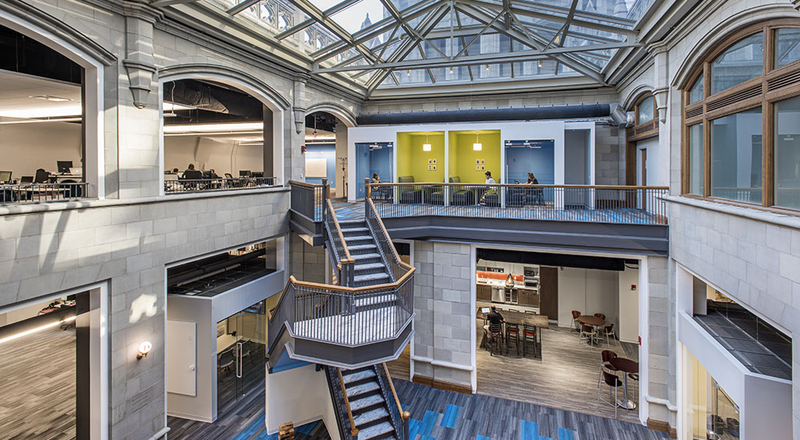 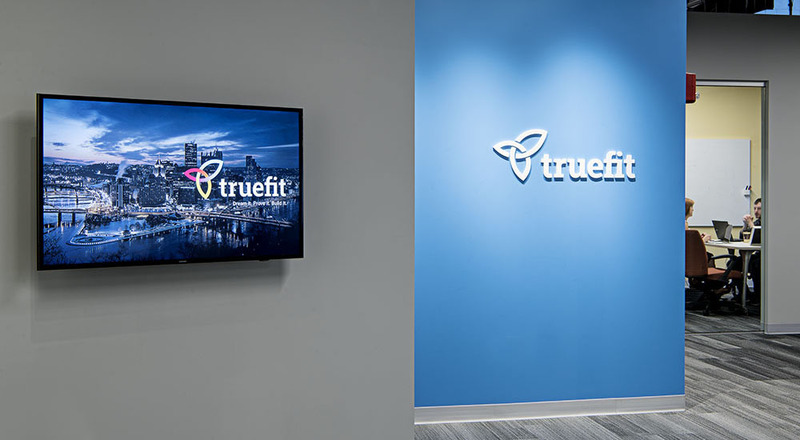 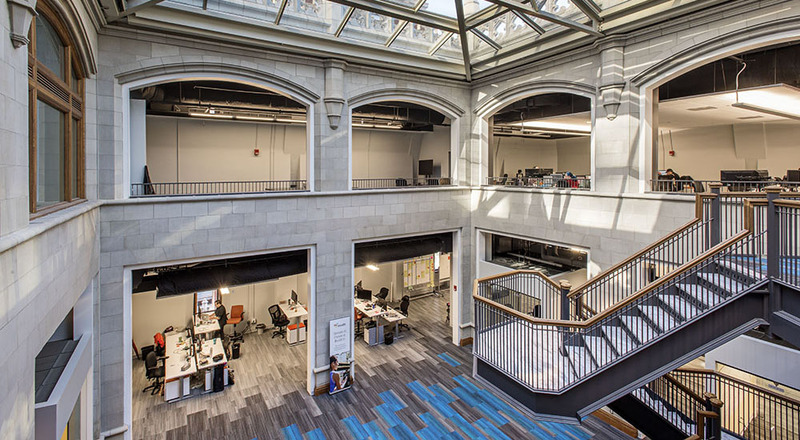 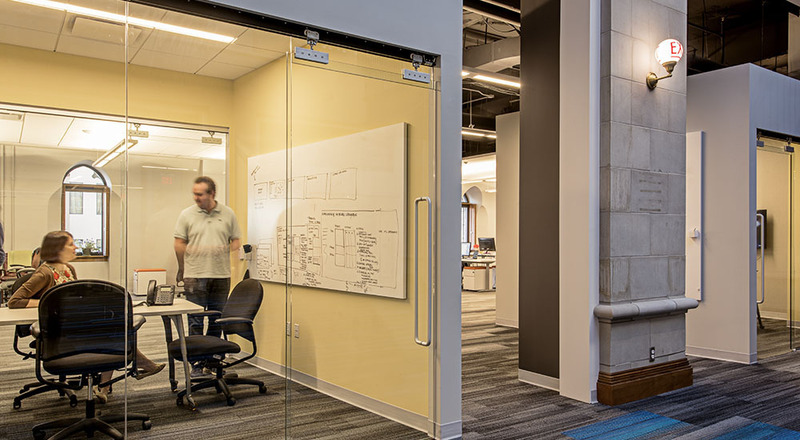 Strada worked with Truefit, a software company formerly based in Cranberry Township, to help them relocate into the historic Union Trust Building in Pittsburgh. 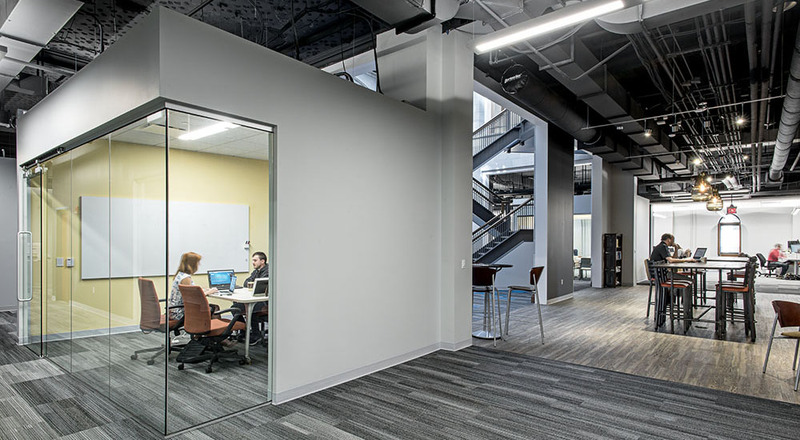 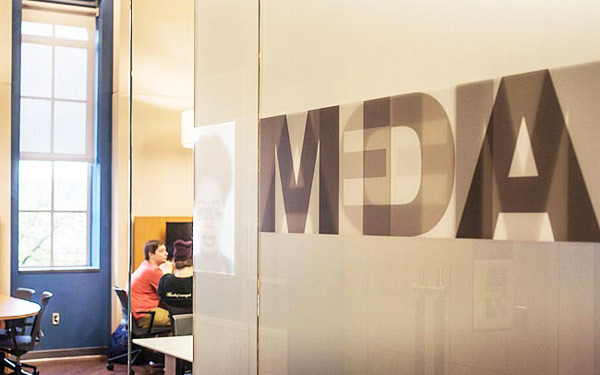 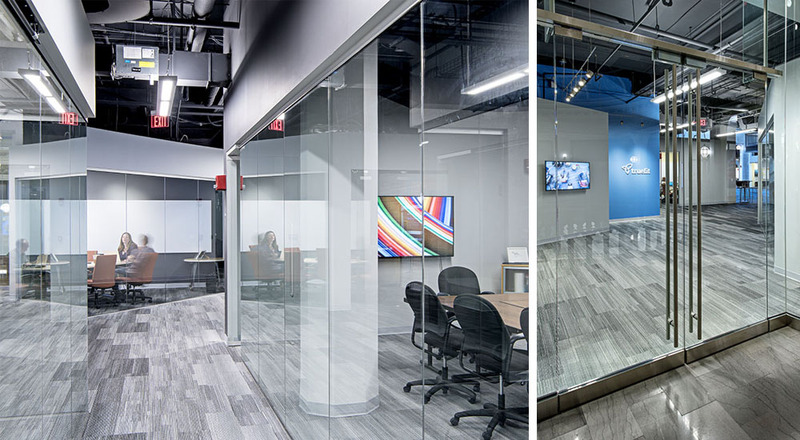 Coming from a more traditional office environment, the company wanted to use the new space to create more interaction among collegues while also maintaining spaces for optimal quiet concentration. 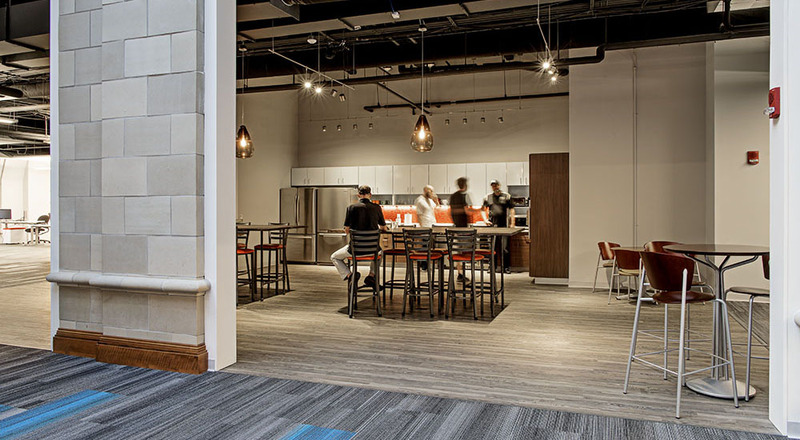 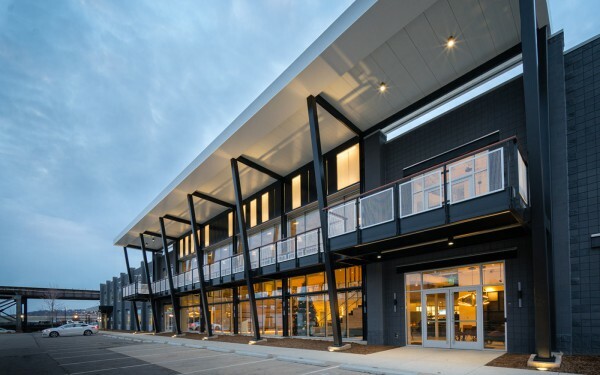 The Strada team reviewed detailed staff surveys to craft the design, planning the fit-out to meet their needs while maintaining the beauty and character of the existing structure. 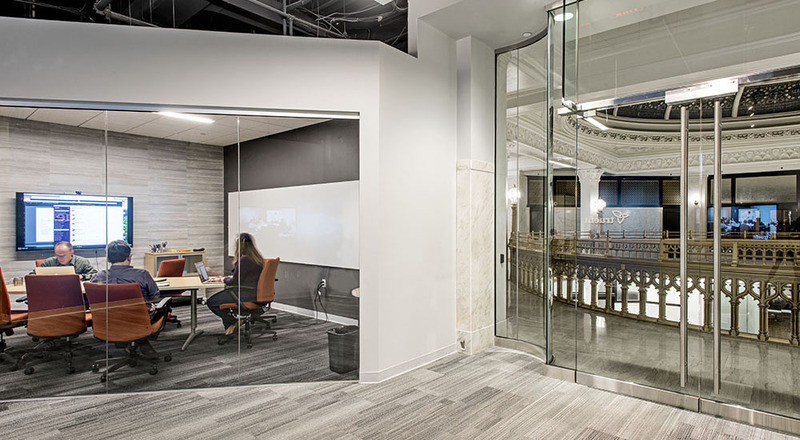 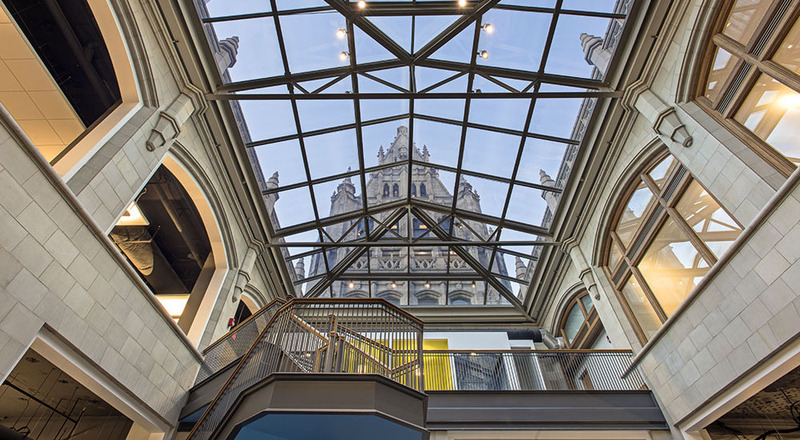 The resulting 13000-SF office features newly-built fully-wired meeting rooms and comfortable workspaces organized around the historic skylit central atrium.